Recreational opportunities at Grand Lake in Oklahoma have drawn many visitors to the area year after year. However, many people are realizing the advantages of living on the lake, and they are taking the great opportunity to become a resident by owning Grand Lake Second Homes. The area offers an immense array of amenities, and many of these amenities are centered around the popular watersports and outdoor activities hosted by the Grand Lake O' the Cherokees. Even the area's untouched primitive sites, RV parks and camping spots add to the charm and allure of owning Grand Lake Vacation Homes. The thousands of visitors that have flocked to Grand Lake cannot be wrong about the area's enchanting lake views, scenic wooded trails and the opportunities to explore its rich historical legacy. With amenities such as sparkling marina access, modern and antique shopping, yacht clubs, pet-friendly parks and magnificent shorelines, its no wonder that many are quickly acquiring Grand Lake Vacation Homes. Activities and attractions such as sailing, hiking, golfing, fishing, picnicking, wildlife watching and water skiing are just some of great reasons many have already made Grand Lake their home. Although some areas offer a limited amount of homes, those that act quickly can still select from several great opportunities to own Grand Lake Second Homes. Many of the areas around Grand Lake offer distinctive communities and amenities, including Ketchum, Bird Island, Monkey Island, Grove, and Horse Creek. Afton, Cleora, Langley, Disney, Duck Creek and Patricia Island also offer exclusive Grand Lake homes and properties. Whether you need a small 1-bedroom or 2-bedroom property or you desire a more family friendly 3-bedroom or 4-bedroom home, the Grand Lake area offers a great mix of residential properties. Even though there are many beautiful single family homes available on Grand Lake, prospective residents can also find condos and townhomes within this attractive Green Country area. Gated Communities Gated communities on Grand Lake provide residents with resort style amenities, including exclusive boat slip access, sprawling lawns, manicured grounds, and spectacular interior spaces. Some may offer quick access to neighborhood bistros, private yacht clubs, scenic trails and much more. Waterfront Properties Waterfront properties on Grand Lake offer some of the most spectacular 180-decree views of the area. Most homes offer private boat docks, spacious lot sizes and spacious layouts that will please the entire family. Lake View Properties Grand Lake Vacation Homes that offer lake views offer spectacular shoreline settings with plenty of yard space for private family gatherings. Other lakefront homes are characterized by mature lawns, modern designs and glorious kitchens and bathrooms. Other Types of Property Other properties within the Grand Lake Oklahoma area include pastoral-secluded homes with expansive yards and private estates. Condos and townhomes within the area offer large expansive terraces, sophisticated interior amenities and thoughtful floor plans. Whether you want to purchase a secluded pastoral property, a lakefront home or you desire to live within a modern gated community, Grand Lake provides choice amenities to meet your active lifestyle. Many properties offer city services including utilities and protective covenants. 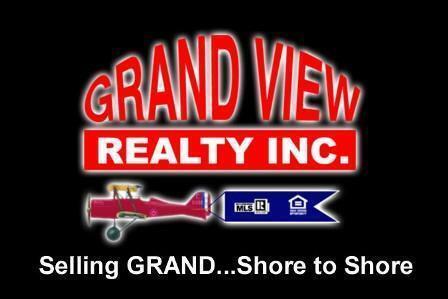 Contact our office today for this once-in-a-lifetime opportunity to own Grand Lake Second Homes.